​ At Creedmoor Family Dentistry, we work with you to proactively keep your teeth healthy. Still, tooth decay and damage can happen at any age. When a tooth gets cracked or broken due to injury or a cavity, decay can set in, which damages the pulp. When the pulp becomes inflamed or infected, you need to get it treated before it becomes painful or, worse, an abscess. Even with an abscess, you may not need to have the tooth extracted. The thought of having a root canal may make you anxious or afraid, but we want to assure you that a root canal is actually a painless treatment to keep a tooth whose nerve has been infected. By removing the nerve and sealing the tooth with a crown, the root canal process will help protect your surrounding teeth and maintain your oral health. The pulp in your teeth contains a nerve, connective tissue, and blood vessels. The pulp itself goes down canals that extend through the teeth’s roots and into the surrounding bone. If the nerve is traumatized through damage – tooth decay that penetrates through the enamel, an abscess, a break or chip that exposes the nerve, or an injury that has killed or is killing the tooth – then you will need a root canal to save the tooth. At Creedmoor Family Dentistry, we will have you come in for an examination that will include x-rays of the affected tooth or teeth. Dr. Willis will talk to you about the procedure and what it will involve, as well as answer any questions you have. To get rid of the infection and relieve the pain it causes, we must remove the inflamed and infected pulp and the damaged nerve. The inside of the tooth is cleaned and disinfected, and then sealed with a rubber-like substance called gutta percha. Afterward, the tooth is either filled or restored with a crown, which seals the tooth against bacteria, food particles, and other matter. The restored tooth continues to function as well as other healthy teeth. Getting a root canal is similar to having a filling done; you can have it completed in one or two appointments, depending on your tooth and your available time. 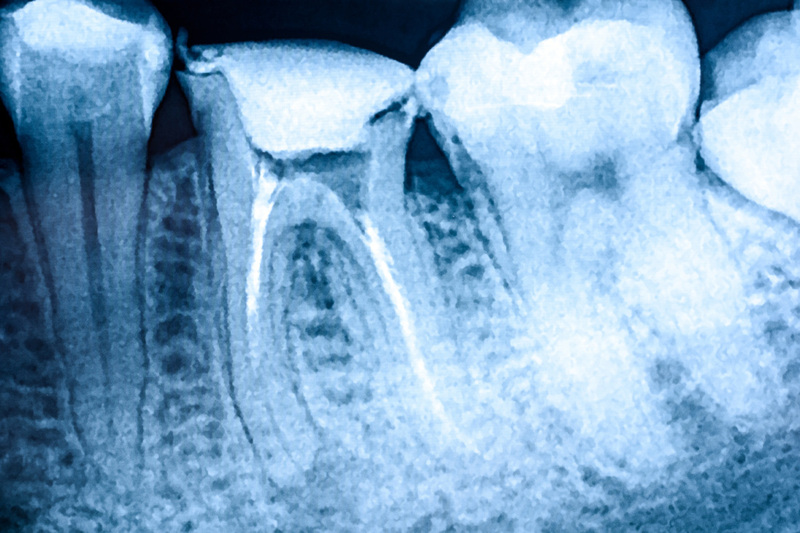 ​Keeping your natural tooth through root canal treatment grants more benefits than extraction. The greatest one is that it allows you to keep a full and healthy smile. You’ll retain your ability to chew and speak properly, with your normal biting force and sensation. Your other teeth won’t shift to fill up an empty space and take on excessive wear and tear. A root canal often limits the need for future dental work in the form of dentures, bridges, and implants. With good oral hygiene, teeth that have had root canal treatment can often last for the rest of your life. If you have an infected or inflamed tooth, call Dr. Willis at Creedmoor Family Dentistry for an appointment. Root canal treatment can save you from pain and infection and keep your teeth healthy for years. At Creedmoor Family Dentistry, Dr. Willis will start by numbing the area around the tooth with a local anesthetic. He will x-ray your tooth, which will be used as a reference, and place a dental dam – a plastic shield used to isolate the tooth from your saliva – over your mouth. Next, the tooth will be disinfected, and Dr. Willis will remove the pulp and the nerve from inside it. Then the tooth is dried and cleaned, and Dr. Willis will place gutta percha inside the tooth. You may receive a temporary filling or, if Dr. Willis is able to finish disinfecting the canals, a permanent filling will be placed. When you return for your second appointment, Dr. Willis will once again numb the area around your tooth and place your permanent crown. The crown will help protect against future decay and damage to your treated tooth. You may be sore after the anesthetic wears off. Dr. Willis can recommend an over-the-counter pain reliever for you to take at home. Antibiotics may be prescribed to clear up any remaining infection, if necessary. Root canals have a high rate of success, but complications are possible. If you are still in pain, feel feverish, or have facial swelling, contact Dr. Willis immediately.